Rebecca B. Price, a professor of Psychiatry and Psychology at the University of Pittsburgh, and colleagues reported at a recent scientific meeting that the combination of intravenous ketamine treatment and four days of cognitive training to enhance positive self-representations improved depression better than either intervention alone (IV ketamine plus a sham training or a non-medicated saline drip plus 4 days of cognitive work). Price and colleagues suggested that priming brain plasticity with ketamine could enhance cognitive training focused on increasing positive self-representations. Psychologists have theorized that self-representations (or assessments of one’s strengths and other qualities) can be a resource that helps people cope with life stress. At a recent symposium, researcher Francis McMahon provided electrophysiological evidence that several different types of rapid-acting antidepressants—low-dose ketamine, scopolamine, and rapastinel (a partial agonist of the neurotransmitter NMDA)—act by decreasing the inhibitory effects of GABAergic interneurons on excitatory neurons called pyramidal cells, thus increasing synaptic firing. Researcher Ronald Duman further dissected these effects, showing that ketamine and its active metabolite norketamine reduce the steady firing rate of GABA interneurons by blocking NMDA receptors, while the partial agonist rapastinel acts on the glutamate neurons directly, and both increase the effects of a type of glutamate receptors known as AMPA. These effects were demonstrated using a virus to selectively knock out GluN2B glutamate receptor subunits in either GABA interneurons or glutamate neurons. Increasing AMPA activity increases synapse number and function and also increases network connectivity, which can reverse the effects of stress. Duman and colleagues further showed that when light is used to modulate pyramidal cells (a process called optogenetic stimulation) in the medial prefrontal cortex, different effects could be produced. Stimulating medial prefrontal cortex cells that contained dopamine D1 receptors, but not D2 receptors, produced rapid and sustained antidepressant effects. Conversely, inhibiting these neurons blocked the antidepressant effects of ketamine. Stimulating the terminals of these D1-containing neurons in the basolateral nucleus of the amygdala was sufficient to reproduce the antidepressant effects. These data suggest that stimulation of glutamate D1 pyramidal neurons from the medial prefrontal cortex to the basolateral nucleus of the amygdala is both necessary and sufficient to produce the antidepressant effects seen with ketamine treatment. 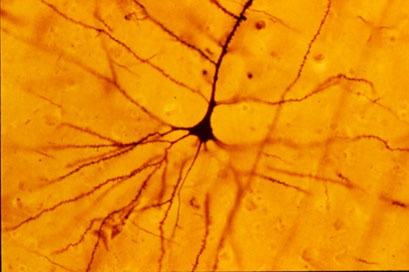 Researcher Hailan Hu reported that NMDA glutamate receptors drive the burst firing of lateral habenula (LHb) neurons, which make up the depressogenic or “anti-reward center” of the brain and appear to mediate anhedonic behavior (loss of interest or enjoyment) in animal models of depression. Ketamine blocks the burst firing of the LHb neurons, which disinhibits monoamine reward centers, enabling ketamine’s rapid-onset antidepressant effects. This may occur because inhibitory metabotropic glutamate receptors (mGluR-2) are activated, decreasing the release of glutamate. MGluR-2 may also help explain the antidepressant effects of acetyl-L-carnitine supplements. L-carnitine is an amino acid that is low in the blood of depressed patients. The supplement acetyl-L-carnitine (ACL) activates the DNA promoter for mGluR-2, increasing its production and thus decreasing excess glutamate release. The acetyl group of the ACL binds to the DNA promoter for mGluR-2, thus this process seems to be epigenetic. Epigenetic mechanisms affect the structure of DNA and can be passed on to offspring even though they are not encoded in the DNA’s genetic sequence. A 2018 open study by Kathryn R. Cullen and colleagues in the Journal of Child and Adolescent Psychopharmacology suggests that intravenous ketamine may improve depression in adolescents who have not responded to at least two antidepressants. Thirteen patients ranging in age from 12 to 18 with treatment-resistant depression were given six ketamine infusions over a period of two weeks, at doses of 0.5 mg/kg of body weight. A 50% drop in scores on the Children’s Depression Rating Scale-Revised (CDRS-R) was considered a good response, and the average drop in participants’ scores was 42.5%. Five of the thirteen participants (38%) met the criteria for a good response. Three of these participants were still in remission at six weeks, while the other two relapsed within two weeks. Ketamine was fairly well-tolerated by the young participants. Some had temporary dissociative symptoms or blood pressure changes. Higher absolute doses of ketamine were linked to better response. The response rates in this group were not as good as in some studies of adults. More research using larger sample sizes and placebo controls is needed to optimize dosing and clarify the safety and efficacy of intravenous ketamine in adolescents with tough-to-treat depression, but this is a promising finding in a small number of adolescents. 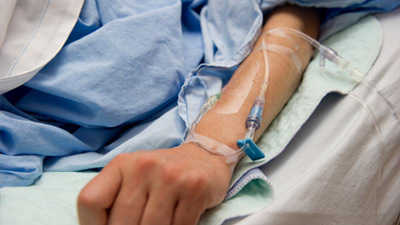 The drug ketamine can rapidly and temporarily improve depression when delivered intravenously. Researchers have been working on extending ketamine’s effects and finding easier ways of delivering the medication. One new delivery method under investigation is nasal spray, which could be used repeatedly to extend ketamine’s effects. Unfortunately, researcher Colleen Loo reported in the Journal of Psychopharmacology in 2018 that a pilot study of self-administered intranasal ketamine for severe depression was suspended when 5 of the 10 participants had side effects that included high blood pressure, psychotic symptoms, and motor incoordination that made them unable to keep using the spray. Early in the four-week study, dosage was adjusted to leave more time between sprays, but this was not enough to prevent the problems with side effects. Loo said that the nasal spray version of ketamine has complications including variations in absorption among different people and on different days, depending on factors like mucus in the nose and exact application techniques. Its rapid absorption into the bloodstream could lead to high peak levels in certain people. 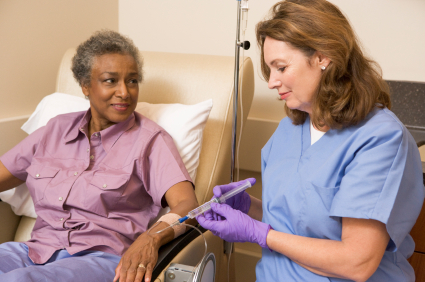 Loo and colleagues had previously found that elderly patients receiving injections of ketamine under the skin required highly individualized dosing to avoid side effects. This may also be the case with nasal spray. While Loo’s study found intranasal ketamine infeasible for the moment, Janssen Research and Development, a pharmaceutical company owned by Johnson & Johnson, reported positive results in phase 3 clinical trials of intranasal esketamine (a component of ketamine) at the annual meeting of the American Psychiatric Association in May. Researchers for Janssen reported that intranasal esketamine was highly effective for depression and well-tolerated both in acute treatment and over a year-long period. 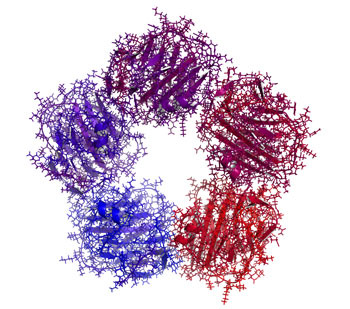 Janssen is now pursing approval for the drug from the US Food and Drug Administration. In a 2018 open study by C. Sophia Albott and colleagues in the Journal of Clinical Psychiatry, veterans with post-traumatic stress disorder (PTSD) and a simultaneous diagnosis of major depression were treated with six infusions of intravenous ketamine over a 12-day period (Mondays, Wednesdays, and Fridays for two weeks). Ketamine produced large improvements in both conditions. The remission rate was 80.0% for PTSD and 93.3% for depression. The median time to first relapse after the treatment was 41 days for PTSD and 20 days for depression. One side effect of ketamine was that dissociative symptoms increased temporarily with repeated infusions. PTSD symptoms did not worsen among those participants taking ketamine. 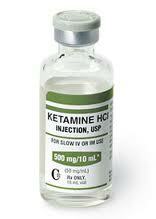 The study was intended to evaluate the efficacy, safety, and durability of repeated ketamine infusions. Ketamine has been used in emergency rooms to rapidly treat depression and suicidality, but the effects of a single infusion fade within days. Albott and colleagues reported that this treatment scenario with multiple ketamine infusions produced rapid results that lasted longer than single ketamine infusions. Editor’s Note: While this study found that repeated ketamine infusions were safe, it is possible that long-term use may lead to addiction. Researcher Nolan R. Williams and colleagues reported in a 2018 article in the American Journal of Psychiatry that ketamine works via activation of the opiate receptor. The drug naloxone, which rapidly reverses opiate overdose, completely blocked ketamine’s antidepressant effects. An in-press article due out in January 2018 by Demitri F. Papolos and colleagues in the Journal of Affective Disorders reports that intranasal ketamine delivered every three to four days reduced symptoms of bipolar disorder in 45 teens (aged 16 years on average). 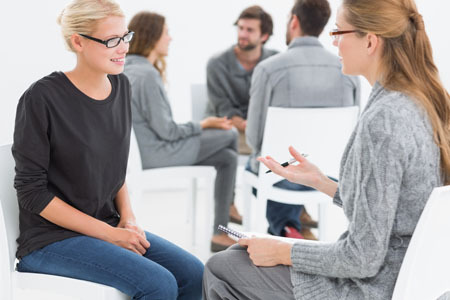 The teens treated in one private practice had the ‘fear-of-harm’ subtype, which in addition to bipolar symptoms is characterized by treatment resistance, separation anxiety, aggressive obsessions, disordered sleep, and poor temperature regulation. The repeated administration of ketamine produced long-lasting positive results, improving bipolar symptoms as well as social function and academic performance. Many participants reported via survey that they were much or very much improved after being treated for durations ranging from 3 months to 6.5 years. Side effects were minimal and included sensory problems, urination problems, torso acne, dizziness, and wobbly gait. The ketamine was delivered to alternating nostrils via 0.1 ml sprays that included 50–200 mg/ml of ketamine in 0.01% benzalkonium chloride. Patients were instructed to increase the dosage just up until it became intolerable and then repeat the last tolerable dose every three to four days. Final doses ranged from 20–360 mg. The mean dose was 165 mg (plus or minus 75 mg) delivered every 3 days. Papolos and colleagues called for placebo-controlled clinical trials based on the positive results from this open study. A 2017 series of articles by researcher Chittaranjan Andrade in the Journal of Clinical Psychiatry reviews the last 10 years of research on ketamine, the anesthetic drug that in smaller doses (0.5 mg/kg of body weight) can bring about rapid antidepressant effects. Ketamine is typically delivered intravenously (though it can also be delivered via inhaler, injected under the skin or into muscles, and least effectively by mouth). Ketamine can improve depression in less than an hour, but its effects usually fade within 3 to 5 days. Repeating infusions every few days can extend ketamine’s efficacy for weeks or months. Andrade cited a 2016 meta-analysis of nine ketamine studies by T. Kishimoto and colleagues in the journal Psychological Research. The meta-analysis found that compared to placebo, ketamine improved depression beginning 40 minutes after IV administration. Its effects peaked at day 1 and were gone 10–12 days later. Remission rates were better than placebo starting after 80 minutes and lasting 3–5 days. Several studies have found that ketamine also reduces suicidality. Andrade reported that both effectiveness and side effects seem to be dose-dependent within a range from 0.1 mg/kg to 0.75 mg/kg. Side effects of ketamine are typically mild and transient. A 2015 study by Le-Ben Wan and colleagues (also in the Journal of Clinical Psychiatry) that Andrade cited reported that in 205 sessions of ketamine administration, the most common side effects were drowsiness, dizziness, poor coordination, blurred vision, and feelings of strangeness or unreality. The feelings of unreality (dissociative effects) diminish with repeated infusions. Heart and blood pressure may also temporarily increase as a result of ketamine administration. One study found that ketamine could speed up and add to the effects of the selective serotonin reuptake inhibitor (SSRI) antidepressant escitalopram (Lexapro). A meta-analysis of 10 randomized controlled trials found that ketamine did not improve the effects of electroconvulsive therapy. Ketamine has some history as a recreational club drug (sometimes known as ‘K’ or ‘special K’), and can be misused or abused. While there have been many studies of ketamine’s antidepressant effects, Andrade concludes that none is of a standard to justify US Food and Drug Administration approval for the drug. It is hoped that larger, more rigorous trials will be completed in the next few years. However, ketamine is already being used widely to treat treatment-resistant unipolar and bipolar depression. Ketamine, which is used as an anesthetic at higher doses, can also relieve depression within hours when delivered intravenously. A 2016 study by Morteza Jafarinia and colleagues in the Journal of Affective Disorders suggests that oral ketamine may be helpful in the treatment of mild to moderate depression in people with chronic pain. The study compared 150mg daily doses of oral ketamine to 150mg daily doses of the anti-inflammatory pain reliever diclofenac over 6 weeks. When interviewed at week 3 and week 6, the ketamine group reported significantly fewer symptoms of depression than the diclofenac group.